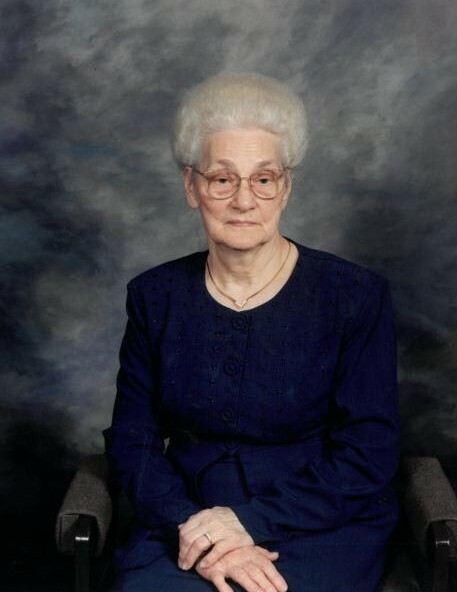 Betty Marie (Baxter) Roy age 97, of Greenwood, Indian, went to be with the Lord on the afternoon of April 4, 2019. She was born in Casey County, Kentucky to Myrtle Baxter and John Welby Baxter on November 12, 1921. She became a caregiver at a young age due to her mother’s illness, she loved and helped care for her family of eight siblings. She married to Oris Roy on September 18, 1937. Their children include, Barbara (Dwaine) Grider of Greenwood, IN., Armra (Vivian) Roy of Whiteland, IN., Verbal (Carol) Roy of Liberty, KY., Henry (Delno)(Pam) Roy of Franklin, IN., and Michael (Mickey)(Brenda) Roy of Greenwood, IN. She was preceded in death by her parents, daughter Barbara, and son Armra. Granddaughter Missy, and six of her siblings. She remained a widow for over 36 years, living her life, loving and supporting her family and serving God. She was a faithful member of Mt. Pleasant Christian Fellowship, of Greenwood, IN where she attended and supported for over 30 years. She loved going to church, singing hymns and most of all, the preaching of God’s word. She loved to work in the yard and garden, to sew, and was an amazing cook, she said love made the difference in the taste of her meals. She loved having her family all around her as often as she could. She had a special way of making everyone feel like they were number one to her. She was a hard worker for many years then retired from Specialty Connectors of Indianapolis, IN. She leaves behind one sister Allie Mason, three sons, 16 grandchildren, 38 great-grandchildren, and 18 great-great grandchildren with two on the way. Also, her cousins, nieces and nephews, and her extended church family that she carried in her heart as her own family. A visitation will be Sunday, April 7th from 6-8 p.m. at Mt. Pleasant Christian Fellowship, 2425 S Emerson Ave, Greenwood. The funeral service will be Monday, April 8th at 12 p.m. at the church. Burial will be at Forest Lawn Memory Gardens.